Performance attribution explains why a portfolio’s performance differs from that of its benchmark. It is, therefore, used as a tool for identifying and quantifying the sources of relative return versus a specified benchmark over a period of time. 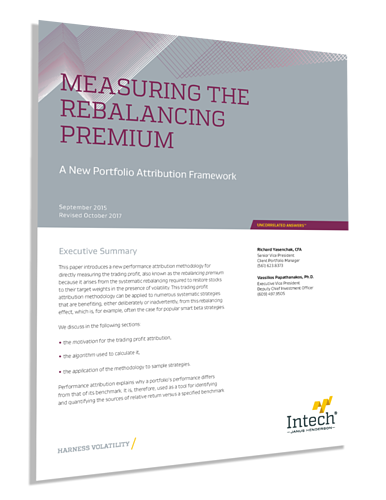 In our paper, “Measuring the Rebalancing Premium”, we introduce a new performance attribution methodology – one that, to our knowledge, has never been discussed in literature before – for directly measuring the trading profit, or rebalancing premium.